It has almost been a decade since Amish Tripathi’s debut novel, The Immortals of Meluha took the country by storm. In the time since then, the fantasy genre of Indian literature has grown by leaps and bounds and now, it is vaster than ever. Eight years ago, when financial service executive Amish Tripathi turned career paths and switched over to being a full time author, nobody could have expected that his debut novel, The Immortals of Meluha would turn out to be as successful as it did. Meluha is a retelling of the life and times of Lord Shiva, one of the principle deities of Hinduism. The novels that followed expanded on the themes of the first and the Shiva trilogy turned out to not only be a benchmark in the Indian fantasy literature but also made its arrival known overseas. What followed the Shiva phenomenon was a slew of works by authors from all across the country. 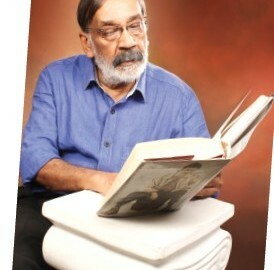 Some of the most notable names include the critically acclaimed, Asura by Anand Neelakantan which tells the story of Ramayana from the perspective of the demon king Ravana and Karthika Nair’s Until the Lions: Echoes from the Mahabharata – a retelling of the Mahabharata through the dazzling poetry of its nineteen protagonists. The range of Indian mythological belles-lettres is vaster than ever following the trend set by Tripathi and his contemporaries. Radical voices have found their way into this genre, standing strong for the subaltern. Feminist perspectives are notable for both their courage and compassion, thereby humanising tales that were largely written by and for upper caste males. Here are five of the most unusual series of mythological fiction, distinctively different from plain vanilla retellings. 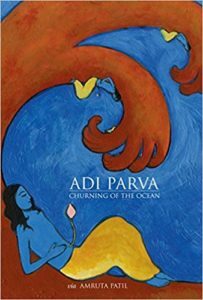 While Amruta Patil is best known for her ground breaking graphic novel, Kari, her on going Parva books have also gained critical appreciation for their well-rounded characters and a deeper narrative. The two books, Adi Parva: Churning of the Ocean and Sauptik: Blood and Flowers, have unique narrators – Ganga and Ashwatthama, respectively – to poignantly tell the story of the mythic ages. 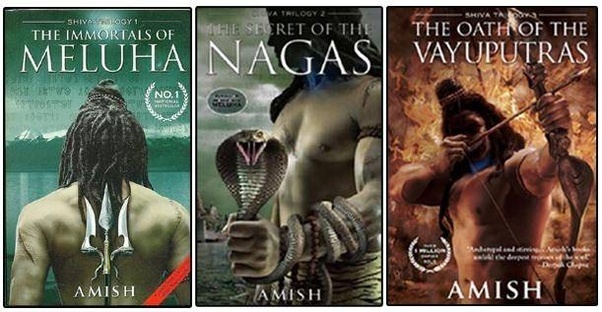 Amish Tripathi’s Ram Chandra trilogy acts a prequel to his Shiva stories. It is the retelling of the mythological epic, Ramayana in Meluha’s scientifically advanced utopic setting. The two books, Scion of Ikshvaku and Sita Warrior of Mithila have been praised for being a thrilling series that will bring Ram and Sita closer to a lot of Indians and as an honest analysis and an intelligent man’s musings on everything from Manu Smriti to Milton Friedman presented in the guise of a series of adventure novels. 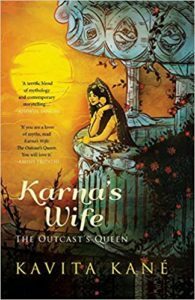 Kavita Kane writes about Uruvi, the wife of Karna – the outcast king from Mahabharata (Indian epic). Uruvi’s devastating tale is one of romance and duty which begins the day she chooses Karna over the heroic Arjuna. As she gets accustomed to courtly affairs and grows to become Karna’s counsellor and guide, war breaks out and she must convince her husband to give up his blind loyalty for the Kauravas, lest it be the end of him. Vikram Veergatha puts the reader in the shoes of the legendary king Vikramaditya and his encounter with the poltergeist, Betal as the latter challenges the former to a battle of wits, the winner survives the night. 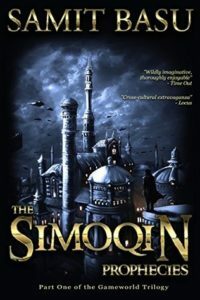 The retelling loses the source’s preaching tone in favour of complicated, multi-dimensional characters blurring the thin blue line and leaving the readers bewildered. Years before Amish Tripathi released his first book, the GameWorld novels were ruling the bookshelves across Europe and the US. Underrated and barely known in India, Samit Basu’s trilogy is an amalgamation of eastern and western mythologies which comes together to form a world as rich as George R.R Martin’s A Game of Thrones and themes as convoluted as the subjectivity of history and the hatred between races among others. The novels have been translated to Spanish, German and Swedish. As readers get hungrier, more and more gods, heroes, and underdogs from the Vedas and Puranas will continue to make appearances in the pages of fantasy fiction and leave the readers spoilt for choice.